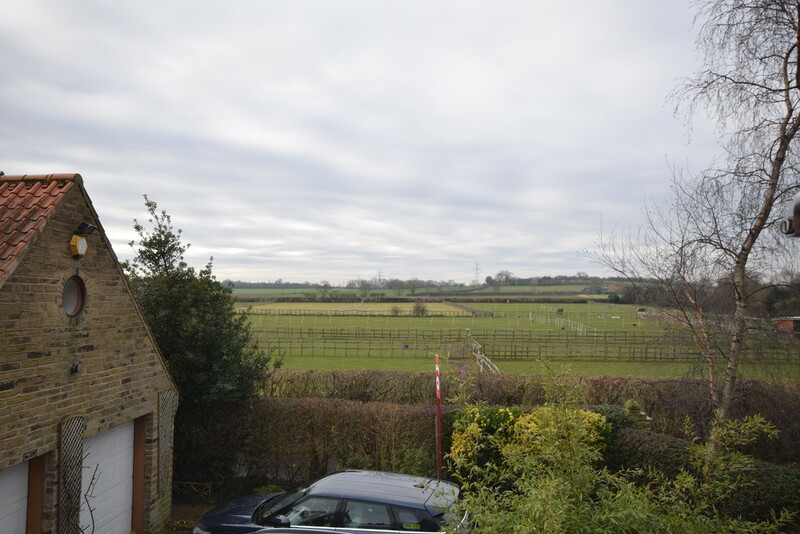 A superbly appointed 5 bedroom detached family home, situated within this excellent location, having commanding views over fields to the front and rear with an excellent standard of internal presentation. 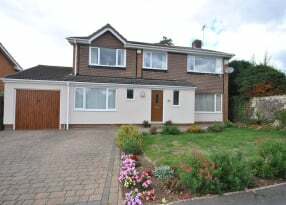 The property will appeal to various buyers who may enjoy this superb family home as the garden room and fifth bedroom will suit and provide excellent teenager living accommodation or for an independent family relative. 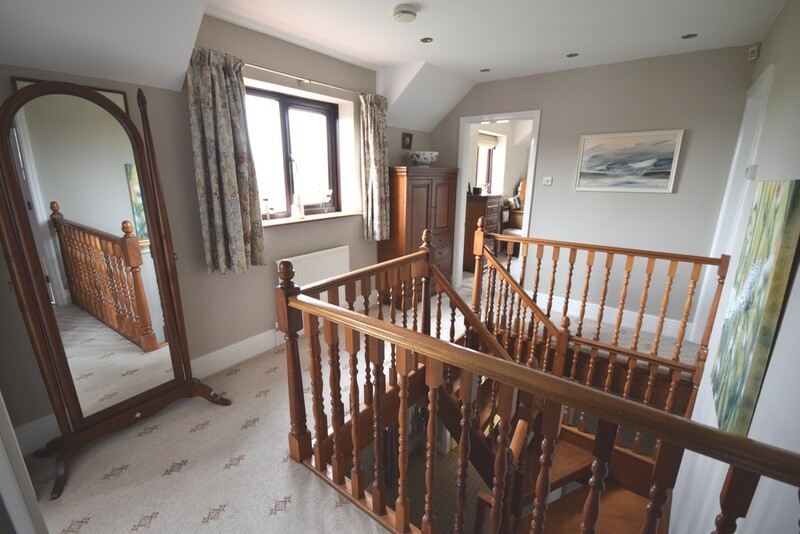 The property includes a lightly shot blasted glazed English Green Oak frame to the garden room, with contemporary Italian staircase leading up to the bedroom and ensuite, the house also provides a further four bedrooms, an ensuite shower room, contemporary bathroom. 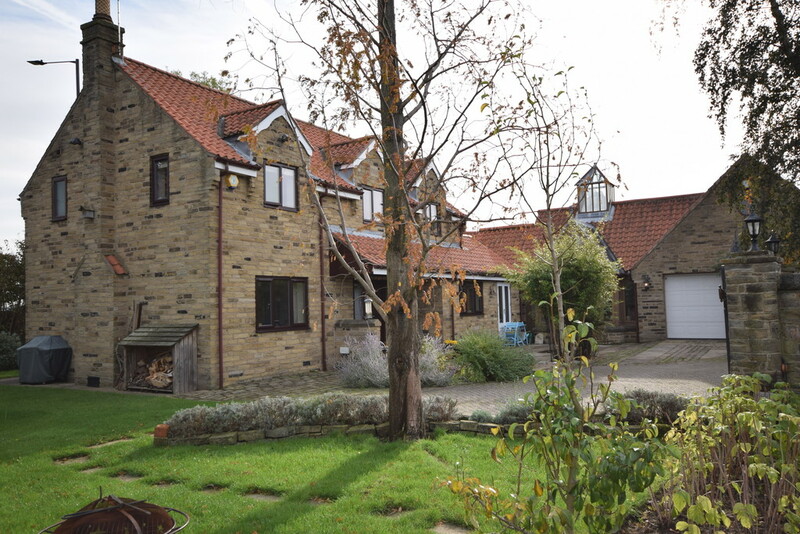 There are lovely gardens, a double garage, and a good standard of internal presentation. The accommodation is certainly worthy of an inspection and comprises of: front entrance hall with main staircase, downstairs w.c., spacious dual facing lounge, an excellent open dining kitchen having a range of quality kitchen units and integrated appliances and granite work surfaces, a breakfast area, utility; first floor landing, leading to four bedrooms (the master bedroom having an ensuite shower room), contemporary family bathroom. 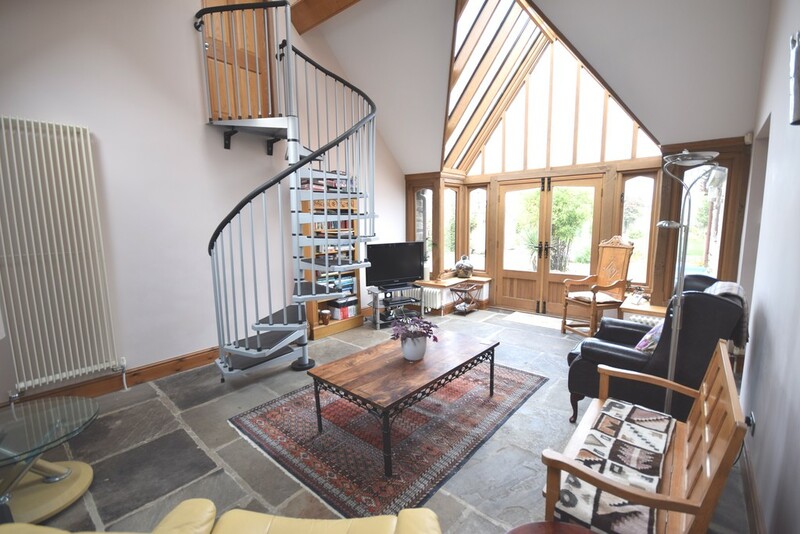 There is also a stunning garden room with a spiral staircase leading to the fifth bedroom and ensuite shower. 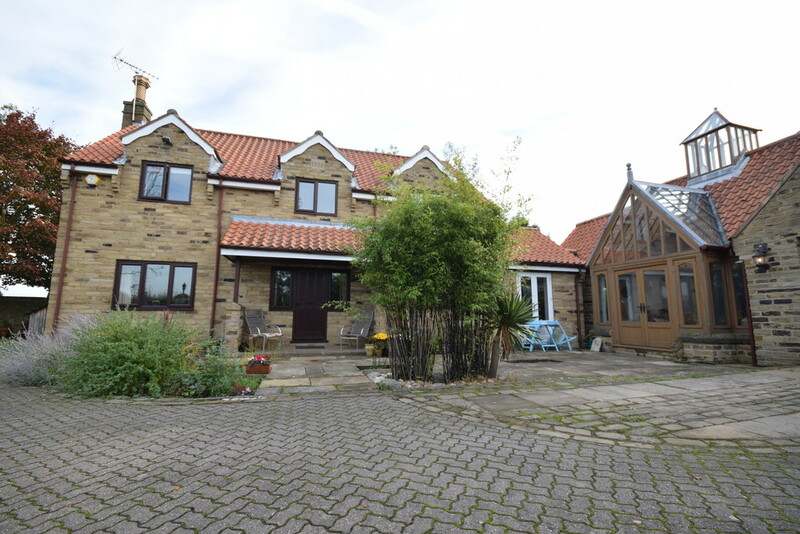 The property resides along Dadsley Road behind electric wrought iron gates which open to a driveway providing numerous off road parking spaces. 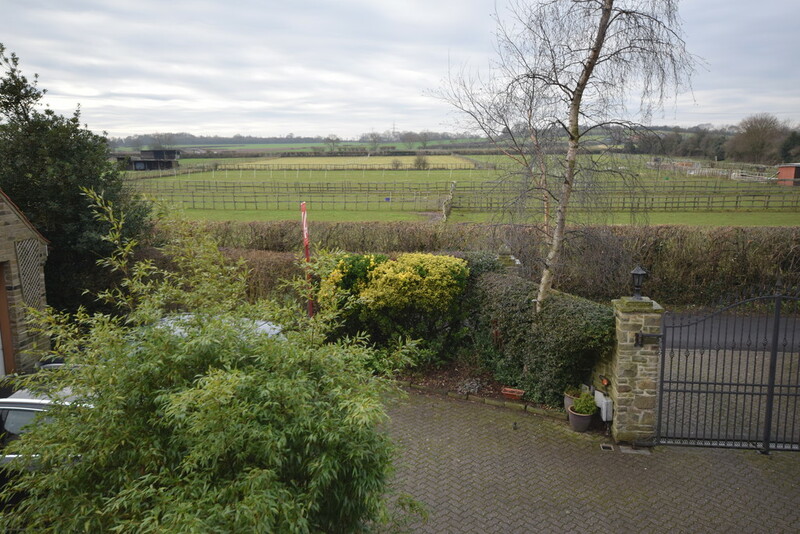 There is an attached double garage, lovely side lawned gardens, which are great for the growing family, with courtyard with lawned area to the rear and beautiful front views over fields. 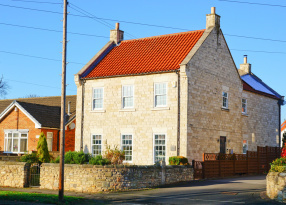 The select residential village of Tickhill is approximately 7 miles south of Doncaster town centre, having an excellent range of shops, restaurants, schools and amenities. 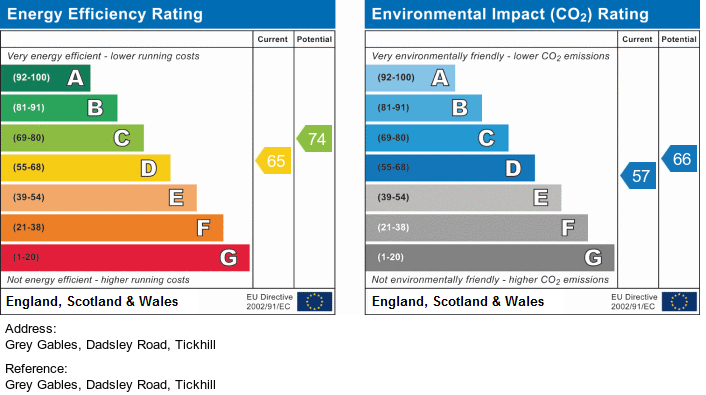 Ease of access to the A1(M) at Blyth and M18 at Maltby opens up many other regional areas within comfortable commuting distance. 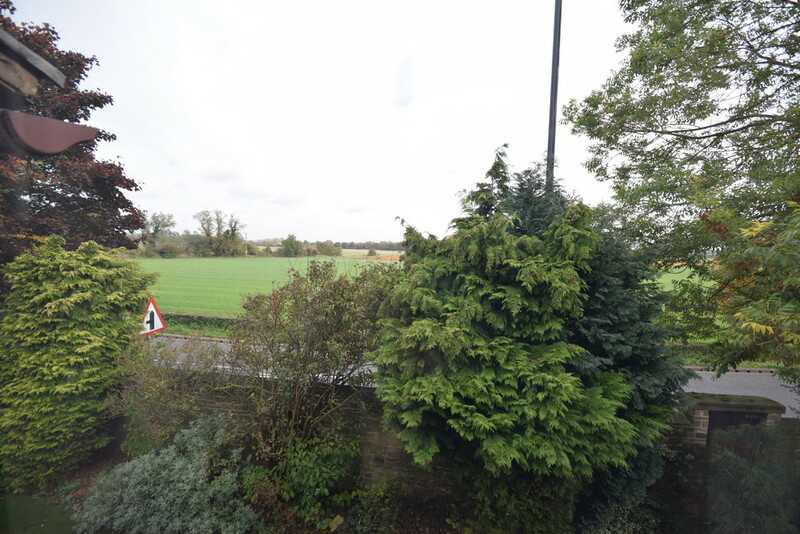 Driving into Tickhill from Doncaster on the A60 Doncaster Road, take the first right hand turning on entering Tickhill onto Dadsley Road. ENTRANCE HALLWAY A nice size entrance hallway with half turning staircase rising to the first floor with balustrades, socket points and LED dimmable down lights, double glazed windows to the front elevation, and access to the downstairs w.c., lounge, and dining kitchen. 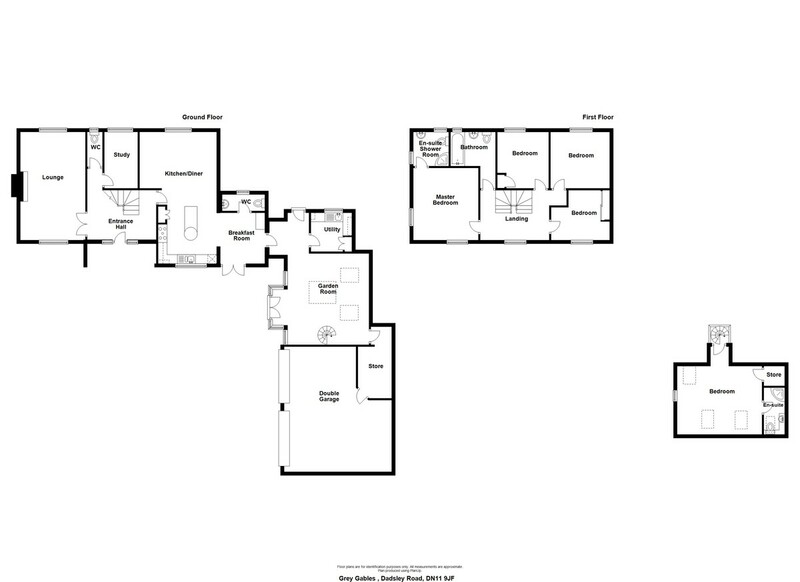 DOWNSTAIRS W.C. A modern downstairs w.c. having a low flush w.c., wash basin, radiator, and feature diamond window. LOUNGE 19' 8" x 11' 10" (5.99m x 3.61m) A dual facing room has an abundance of light streaming through, featuring an open fire with decorative surround and hearth, radiator, brushed steel socket points, coving to the ceiling, a good standard of internal presentation, and double glazed windows to the front and rear elevations. 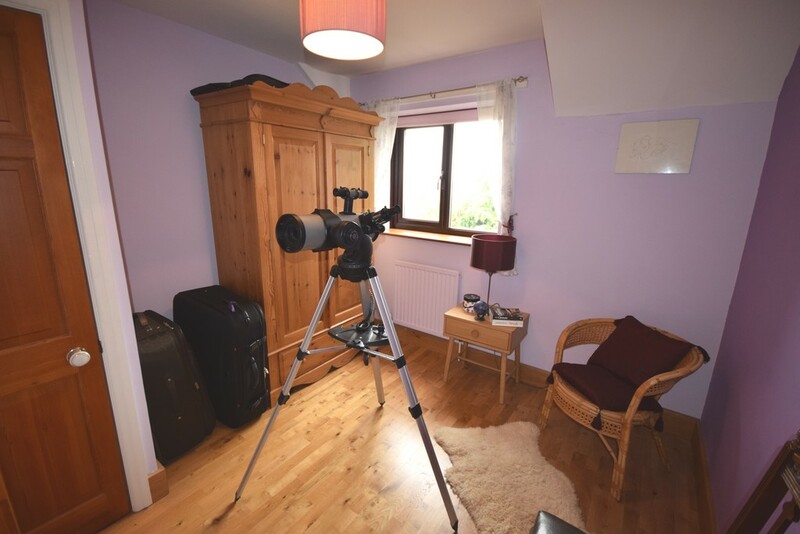 STUDY 6' 1" x 9' 10" (1.85m x 3m) Situated to the rear of the property, having a radiator, coving to the ceiling, and double glazed window to the rear elevation and socket points. 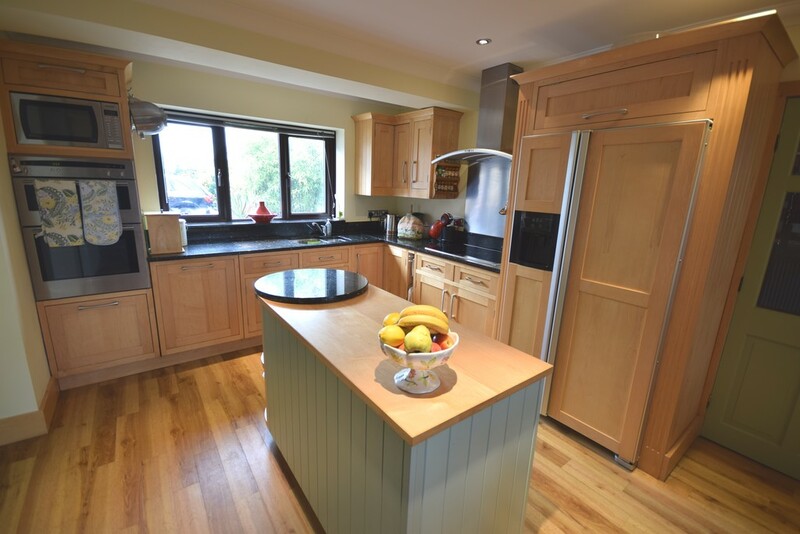 An excellent and superb open living kitchen having a range of contemporary wall and base units with granite work preparation surfaces. Within the units is the built-in dishwasher, built-in double oven, fridge and freezer, ceramic hob, excellent central island unit, Amtico flooring, microwave, two radiators, double glazed window to the front and rear elevations adding natural light throughout the room, a good standard of internal presentation, and coving to the ceiling, all providing contemporary family living. BREAKFAST ROOM Accessed from the dining kitchen, the breakfast area is a lovely place to have a breakfast table. 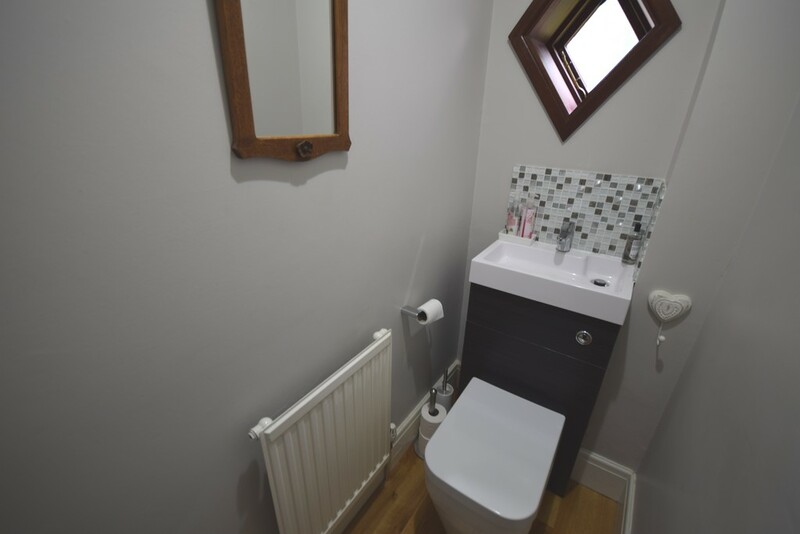 Doors open to the front, Amtico flooring, fitted wine rack, radiator, and access to the second downstairs w.c.
DOWNSTAIRS W.C. Having a w.c., wash basin, radiator and sealed unit double glazed window. 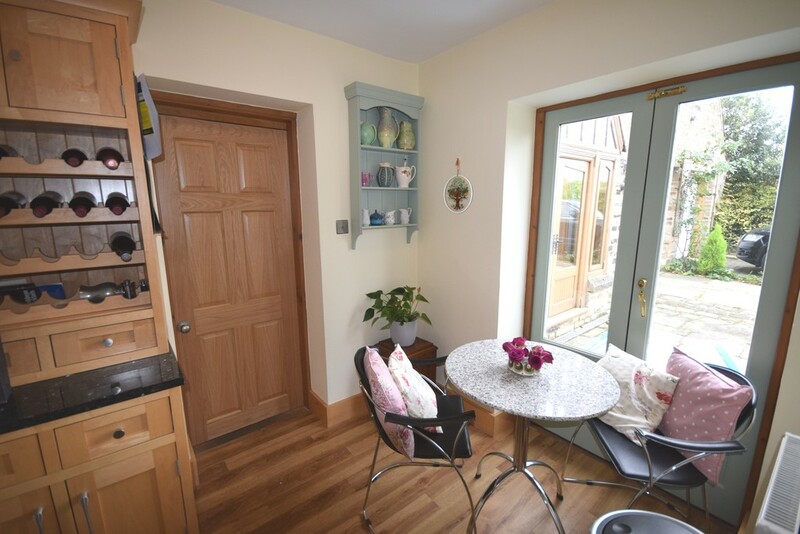 UTILITY ROOM Having a range of base and wall units, plumbing for a washing machine, cupboard housing the Worcester boiler, which was replaced in 2014 and is under warranty until October 2019. FIRST FLOOR LANDING A spacious first floor landing, having double glazed window to the front, which has beautiful field views. 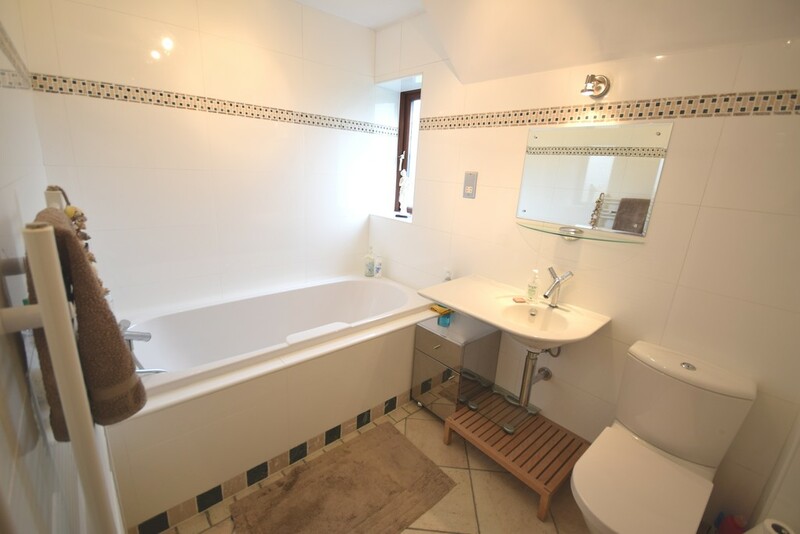 Access to the main bedrooms and the contemporary bathroom suite. LED dimmable down lights to the landing area. 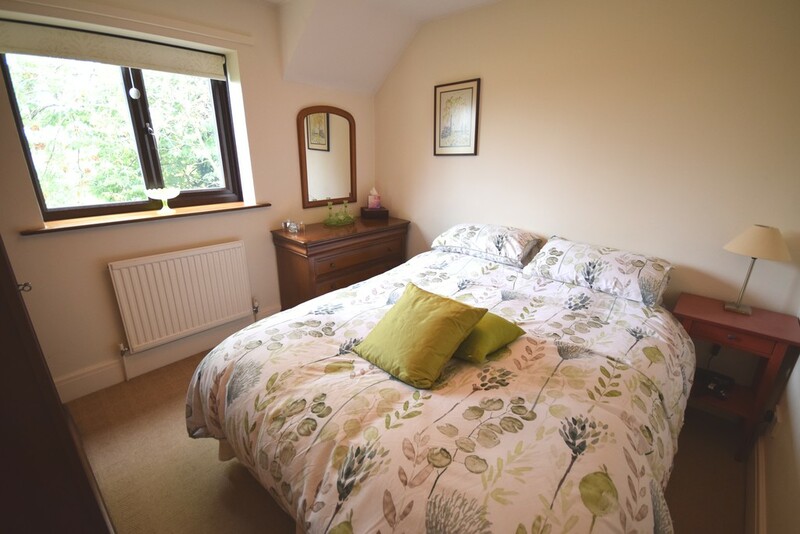 BEDROOM 1 12' 11" x 11' 10" (3.94m x 3.61m) A dual aspect bedroom having a double glazed window to the front and side elevations, a nice standard of internal presentation, socket points, and internal door to the modern and contemporary ensuite shower room. 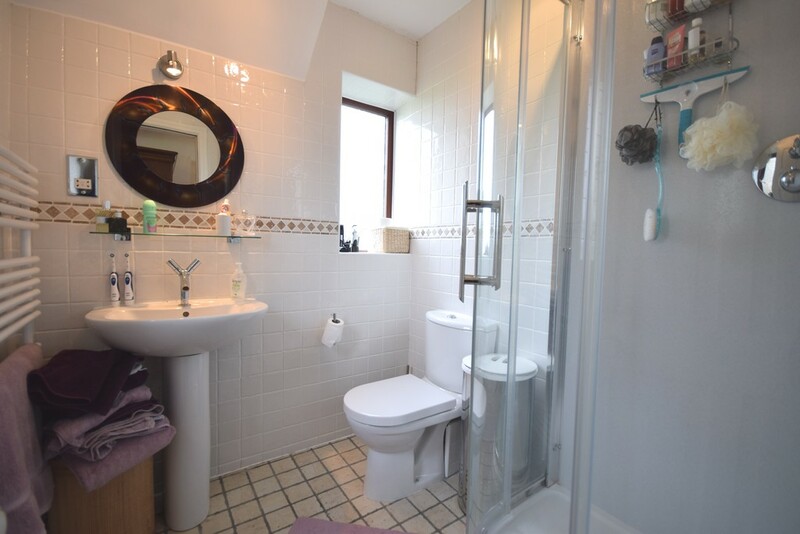 ENSUITE SHOWER ROOM Refurbished with a new shower unit installed approximately 4 years ago, having a shower cubicle, w.c. and wash basin, towel rail, shaver point, and obscure windows to the rear and side elevations. 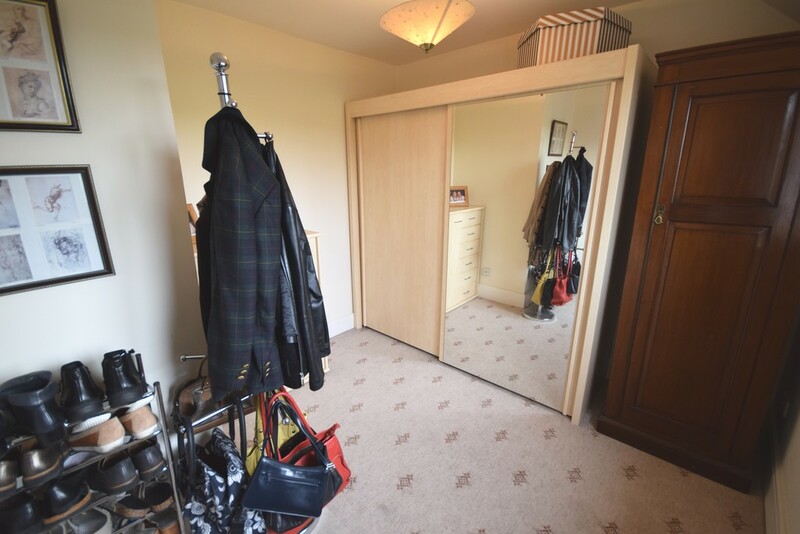 BEDROOM 2 10' 4" x 9' 10" (3.15m x 3m) Situated to the rear of the property, this double bedroom has a radiator, a nice standard of internal presentation, socket points, and double glazed window to the rear elevation. 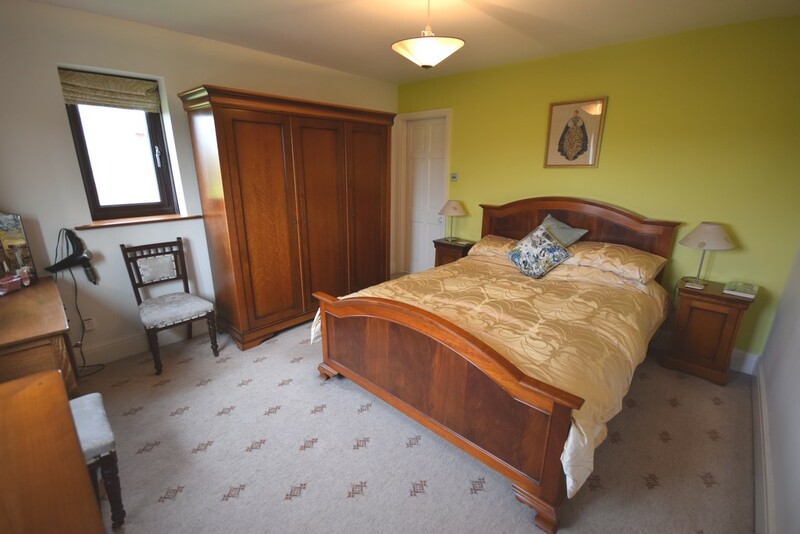 BEDROOM 3 9' 6" x 9' 11" (2.9m x 3.02m) A rear bedroom having a cupboard which houses the cylinder tank, engineered Oak flooring with matching skirtings, radiator, socket point and double glazed window to the rear. BEDROOM 4 9' 3" x 10' 4" (2.82m x 3.15m) A front facing bedroom which overlooks fields to the front, and has a radiator, socket points, and a nice standard of internal presentation. FAMILY BATHROOM A modern and contemporary bathroom suite having a bath with chrome mixer spray attachment, w.c. and wash basin. There are tiled walls, shaver point, and an obscure window to the rear. 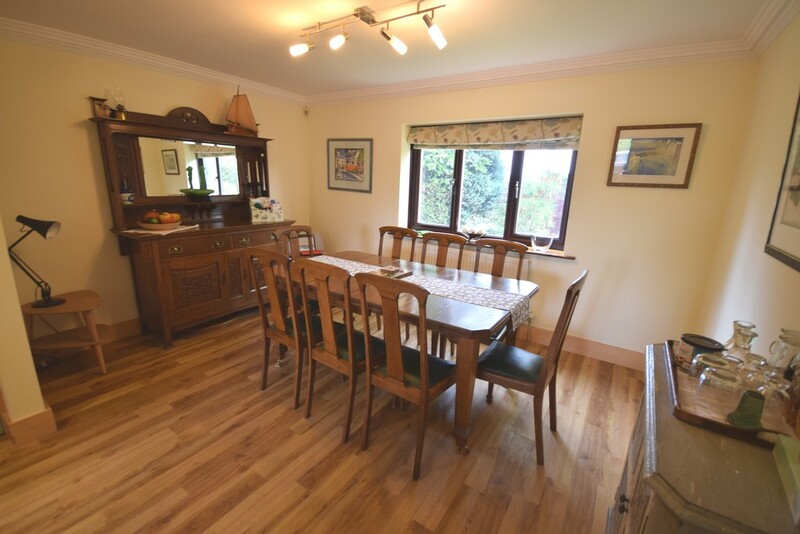 This superb garden room provides beautiful family living, with a lightly shot blasted English Green Oak frame, which provides access to the front of the property. 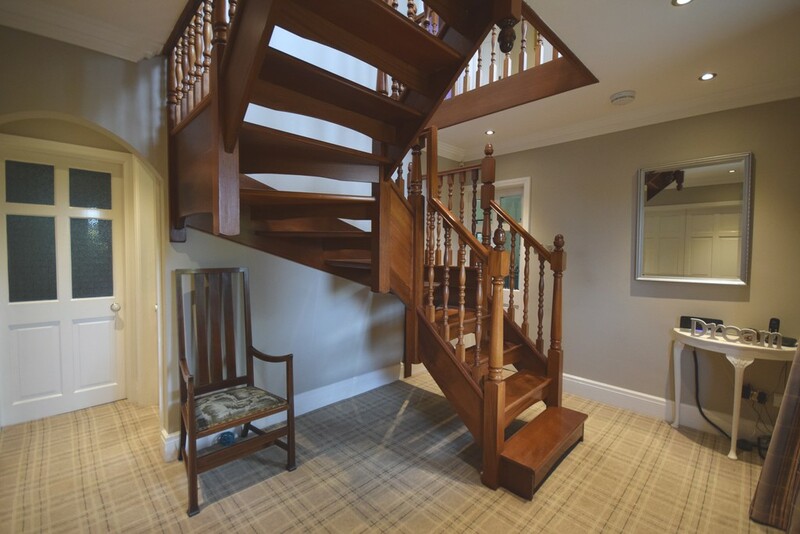 There is a contemporary Italian staircase that leads up to the fifth bedroom and ensuite shower room. 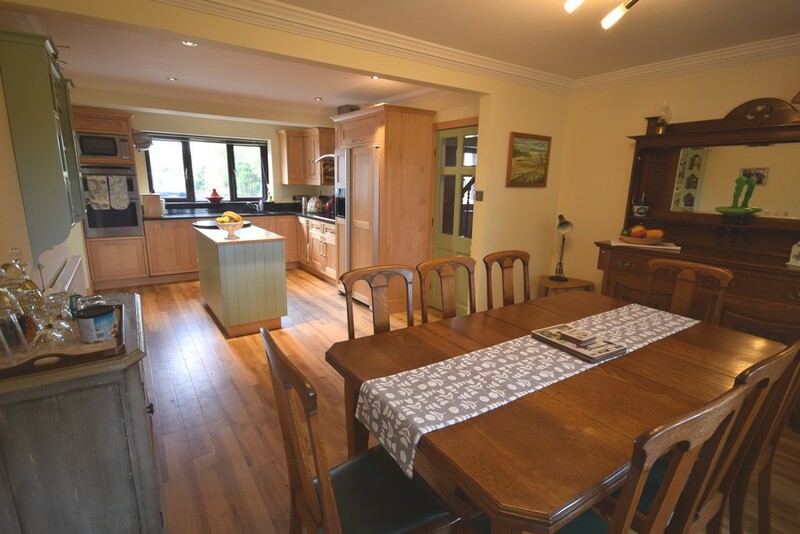 There is Yorkshire stone flooring, an excellent standard of internal presentation, internal door to the double garage, and doors that open to the front of the property. There is a glazed gable above the doors with a glazed roof over the gable offshoot. The sloping feature ceiling also has two roof windows. This room also has a double glazed lantern in the centre of the ceiling. BEDROOM 5 15' 6" x 12' 3" (4.72m x 3.73m) This bedroom has American Oak flooring, Velux windows to the rear, socket points, t.v. 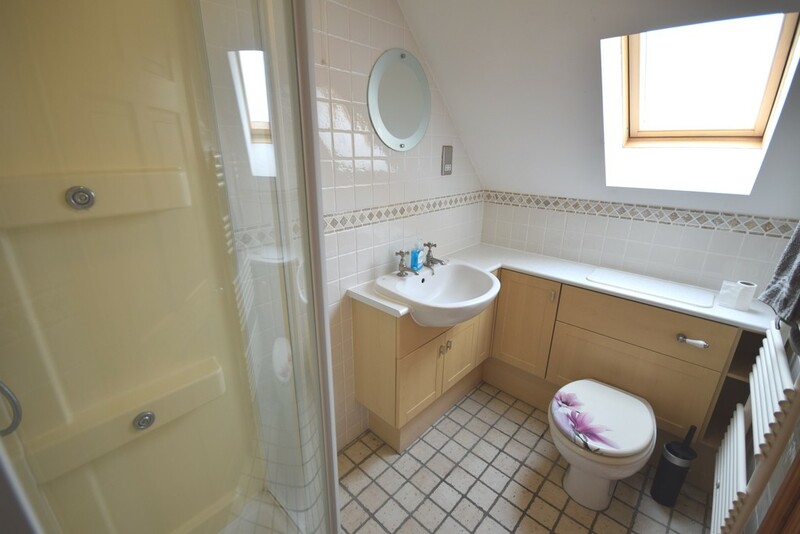 point, two radiators, a good standard of internal presentation, and internal door to the ensuite shower room. ENSUITE SHOWER ROOM Having a 3 piece suite including a shower cubicle with sliding doors, w.c. and wash basin, shaver point, and a good standard of internal presentation. 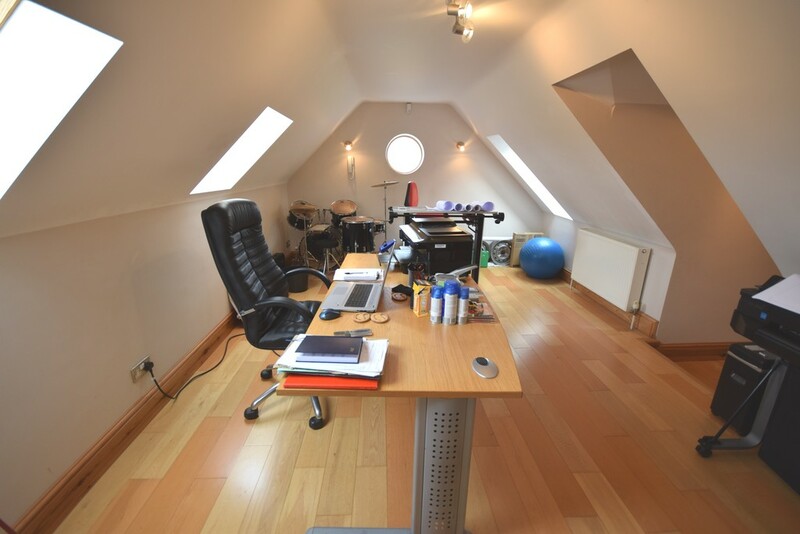 This room also has a Velux roof window. 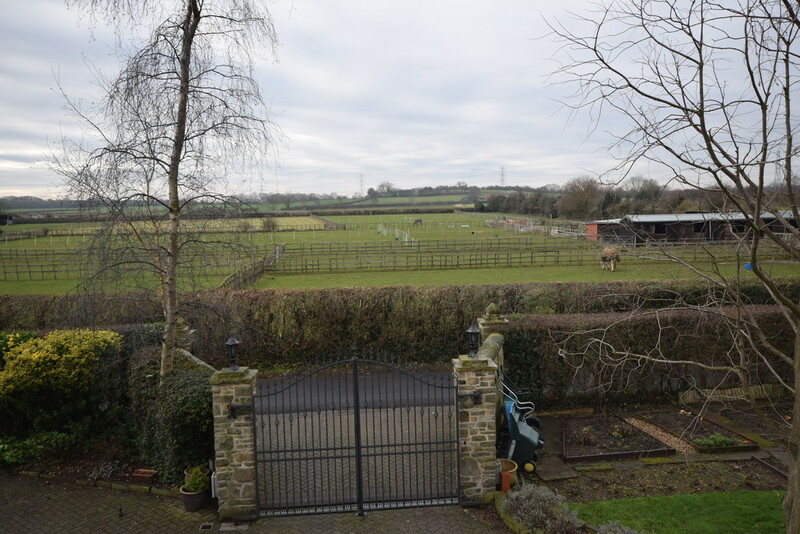 OUTSIDE The property resides along Dadsley Road, with an electric wrought iron gates which open to the driveway and property. 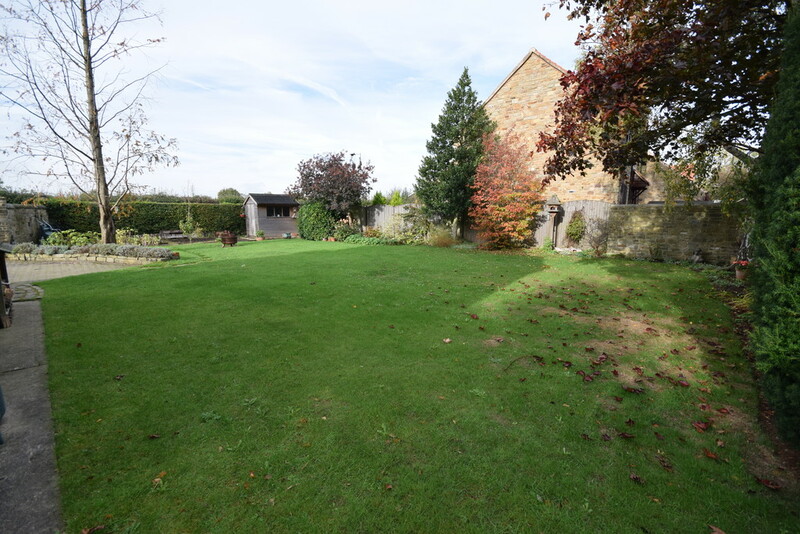 There are numerous off road parking spaces, mature shrubs and trees, a double garage which has access to the house, a lawned garden that has extant planning permission, a shed, a lawned arear to the rear and a courtyard. 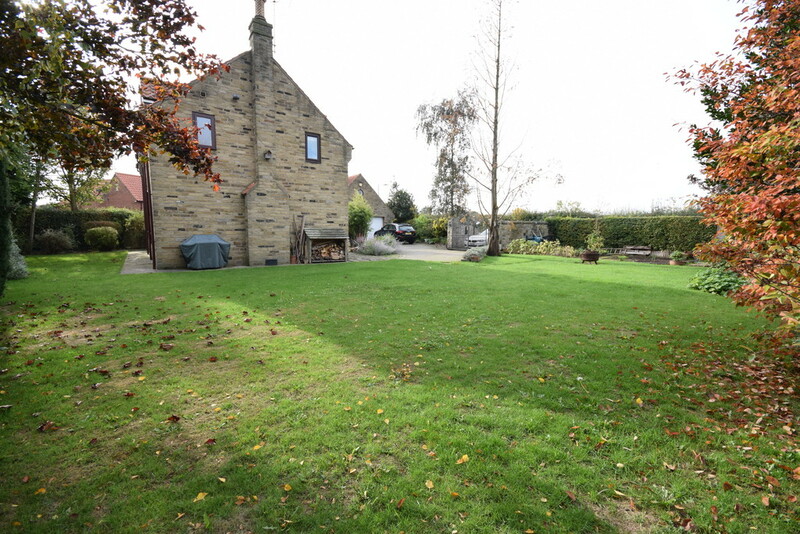 The gardens are ideal for the growing family. 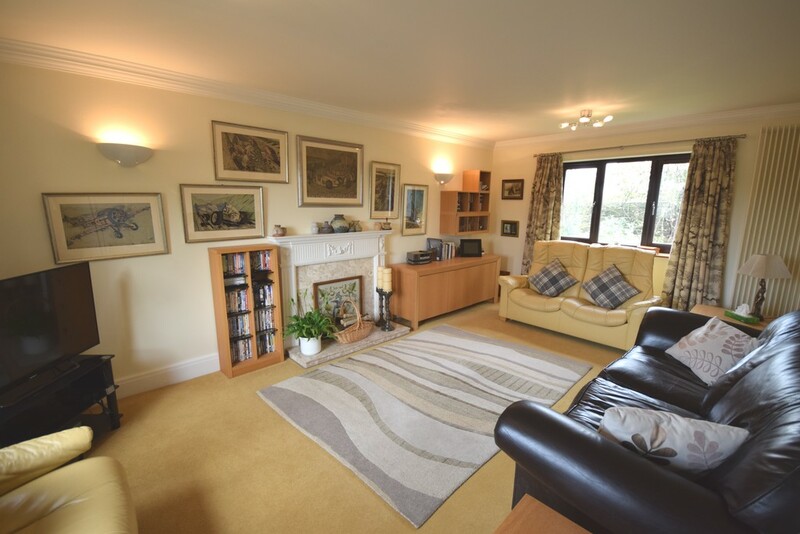 DOUBLE GARAGE The excellent size double garage is fitted with electric insulated Hormann doors with a storage room.There is also access to the house from the garage.